LATEST NEWS FROM THE HKUAA GOLF INTEREST GROUP! 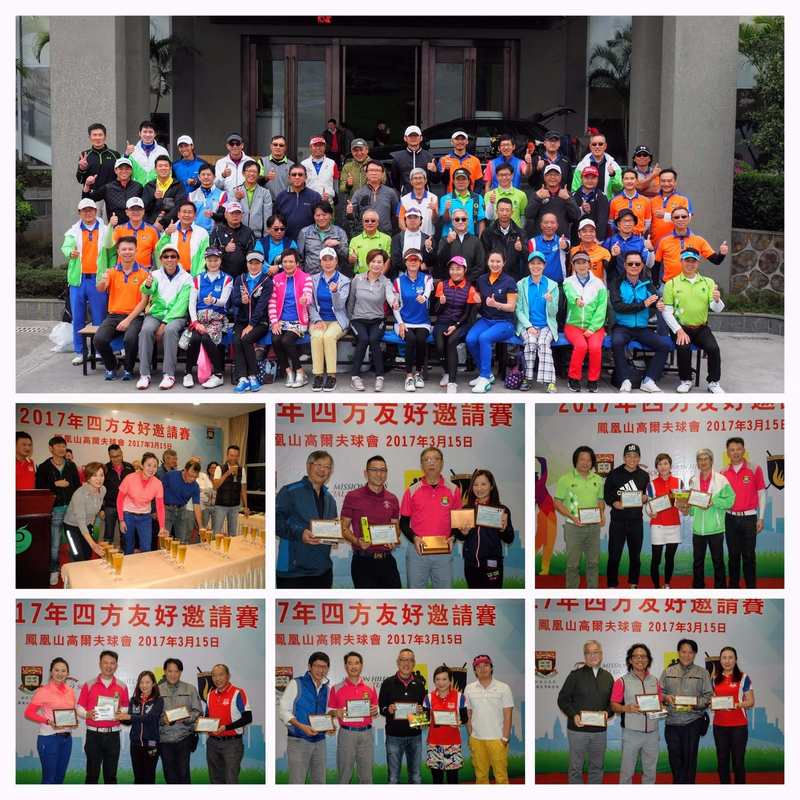 This was the 2nd Annual Quad Match hosted by the HKUAA Golf Interest Group which was played this year at Phoenix Hills Golf Club, one of the most challenging mountain courses in Dongguan/Shenzhen area. The objective of the Match was to meet new people and have a fun filled social round of golf. Individual teams were comprised of one member from each Team competing in a Texas Scramble format which encouraged a lot of team strategies on every shot. The competition was quite keen as reflected in the low team scores. The weather was great for March - no rain and not too cold as forecasted. The Course was in good condition and the greens were fast and tough. Everyone enjoyed meeting and playing with each other as well as socializing over a sumptuous lunch buffet before the round and a delicious dinner afterwards. It was not surprising that most of the participants fell asleep in the bus on the return journey to HK. Congratulations to all the winners and many thanks to the all the Team Captains and sponsors, Phoenix Hill Golf Club and Edmund Wu of Sports Life Asia Ltd.
Special thanks to HKUAA’s Hole Hau who was the MC of the Presentation Ceremony and a very special thanks to Jeanie Kwok (HKPGA) and Edmund Sung (HKPGA). Gross and Net Champions, 1st Runner-ups, 2nd Runner-ups, Closest to Pin, Longest Drive. We hope that you can join this event!